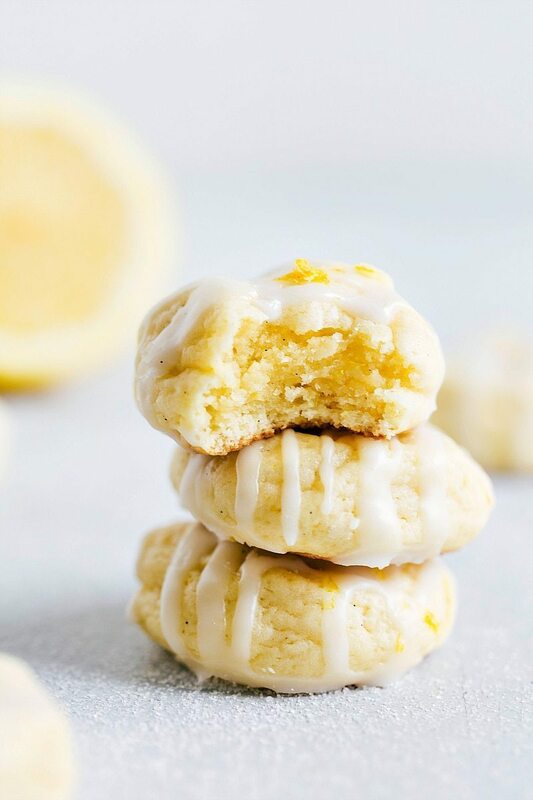 Lemon cheesecake cookies that are soft and chewy with a simple lemon glaze. These aren’t your typical cookie, but they may just become your new favorite dessert! 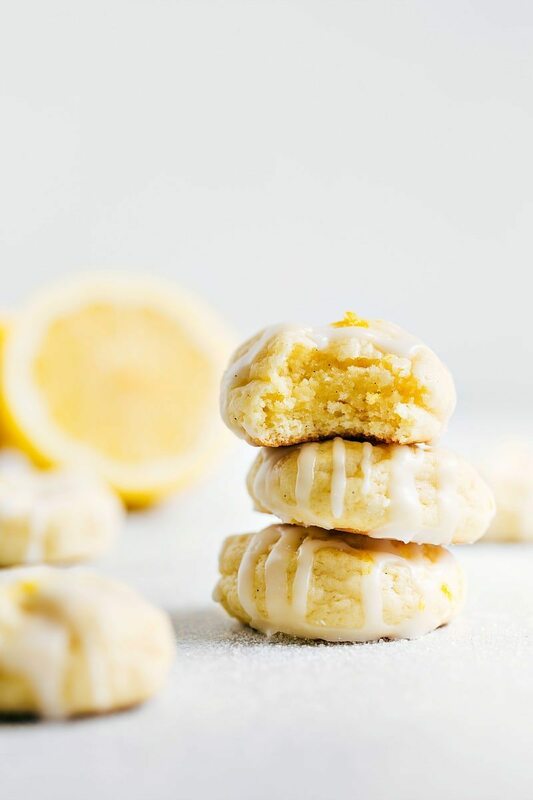 If you like cheesecake, lemon-flavors, and/or soft cakey cookies you are going to go crazy for these lemon cheesecake cookies! 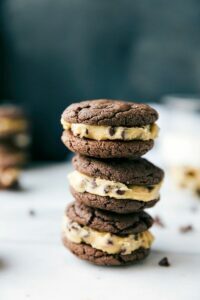 They really taste like a miniature cheesecake in cookie form and they are so different from your typical chocolate-chip or peanut butter cookies. These cookies are a bit more high maintenance than other cookie recipes, but it’s well worth the effort and time! These cookies do take a lot of advance planning (getting ingredients to room temperature + chilling the dough), so be prepared for that. No substitutions: I’ve made this recipe many times to perfect it and I can’t guarantee success if you change out or leave out ingredients. Room temperature ingredients: it’s really important that the cream cheese, butter, and egg are at room temperature. You don’t want to melt the butter or cream cheese or these cookies don’t set up properly. Leave them out for 45 minutes to an hour and you’ll be golden. Under-bake: If you over-bake these cookies the taste and texture is off. They turn into biscuit-like cookies that just aren’t that great. By keeping them slightly under-baked, they will be soft and have a similar texture to cheesecake. Let them cool completely: most cookies are the absolute BEST right out of the oven, but these are not. They really are best when they are completely cooled and even better when they’ve been chilled! Make sure to wait for them to cool all the way and the glaze to set before serving or enjoying them. In a large bowl, cream together the sugar and butter until light and fluffy. Add in the cream cheese and continue to beat until the batter is completely smooth. Beat in the egg, vanilla extract, lemon extract, lemon juice, and lemon zest. In a separate bowl, combine the flour, baking powder, salt, cornstarch, and pudding mix. Stir together and then add to the wet ingredients. Mix until JUST combined being careful to not over-mix (to avoid dense cookies). Cover the dough and refrigerate for 20 minutes. Bake at 350 degrees F for exactly 8 minutes and then remove from the oven. Remove to a cooling rack and let cool completely. (These are best after they are totally cooled and even better chilled.) Be very careful to not overbake these as they go from a thick soft cheesecake texture to a biscuit like texture. Once cooled, prepare the glaze by whisking together the lemon juice and powdered sugar. 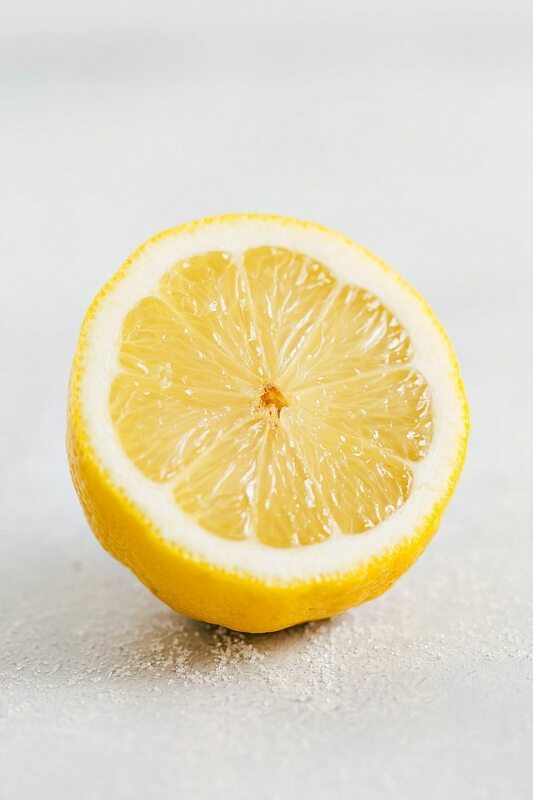 Add the lemon juice just until a thick glaze can come together. Spoon the glaze over the cookies and allow to set. Yummm…these look totally droolworthy! 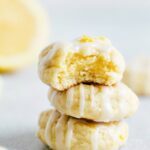 I’m such a fan of lemon desserts, but haven’t traditionally liked lemon cookies too much (I think I’ve had a few too many non-descript, dry lemon cookies) – these, however, look super moist and delicious. 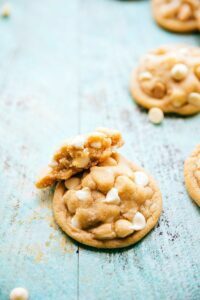 What a great idea to make a cheesecake-inspired cookie! I love big poofy cookies like this! Gorgeous! If Spring were in a cookie form, this would be the recipe. They look delicious! I need to make these asap! They look fantastic! 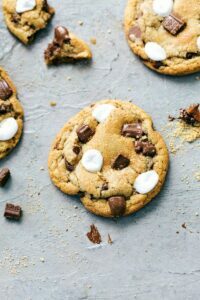 I’d stick to regular full fat cream cheese for these cookies! What can be used instead of pudding mix? I haven’t tested anything in place of the pudding mix so I’m really not sure on these cookies; sorry!